Teatum+Teatum produce innovative contemporary architecture, focused on exploring the experiential qualities and social opportunity of space. Teatum+Teatum combine architecture, development and urbanism. The company is organised under Space and Projects. Under Space we acquire, design, develop and operate living and working space. These spaces are available to rent for short periods, providing an architecture that is accessible to a range of users. Under Projects we develop spatial strategies and produce new space for private and public clients. Our work is inspired by the idea that architecture can choreograph the social possibility of space, create interaction and connect to the experiential and cultural energy of the city. At every scale, our proposals engage with the urban possibility of the site. We believe great cities; those with tangible possibility are informed by the interface between use and spatial organisation. Through the choreography of space we create opportunities for vibrant public experience, from a small office window to a masterplan our approach seeks to develop an interaction between user, building and the culture of the city at a series of scales. We believe it is the interaction between space and user that creates unique experiences. Spatial relationships are explored and developed through juxtaposition, interface, layering and contrast to create an amplification of experiential opportunity. Our work includes new buildings, the re-organisation of existing space and master-planning. We have developed particular experience in housing and workspace sectors across a series of scales and client types. Our approach seeks a contemporary architecture that interacts with its physical and historic context, is accessible and spatially engaging to users and the public. We explore the possibility of each project through an intuitive and analytical study of the brief, the programme and site to produce a specific architecture full of possibility. Both directors contribute to teaching in London Universities; Tom Teatum is a unit tutor at Royal College of Art and is a steering group member of the RIBA Building Futures Think Tank. Teatum+Teatum were founded in 2011 by Tom & James Teatum. They considered that there was an alternative way to organise how the structure of space is produced, one that allowed a wider audience to experience contemporary space. 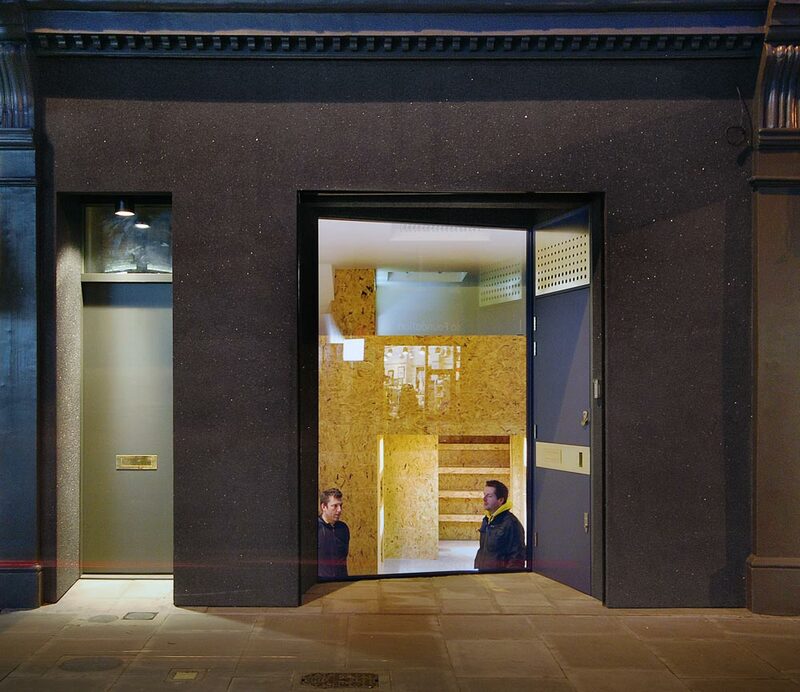 Inspired by the idea that architecture should seek to extend the social opportunity of space and connect to the experiential and cultural energy of the city, the two brothers at the beginning of 2010 bought a small site in Shepherds Bush, West London. From this they developed a house with an attached office. These first projects were numbered T+T 001 and 002 and formed the beginning of T+T Space. 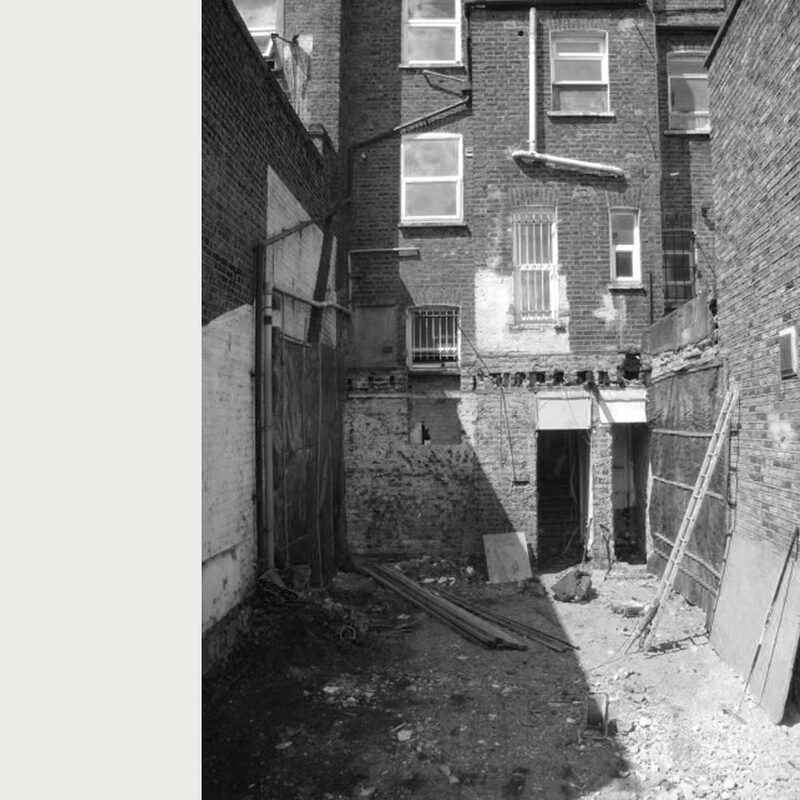 After completing and operating T+T 001 + 002 in 2011, in addition to a number of projects for private clients, 2012 will see the development of three new projects: T+T 007 - a re-configured mews house in London organised around an internal garden and T+T 008 - consisting of three apartments with interiors formed from bespoke joinery. Under Projects we are developing a new-build cast concrete and brick house in the Isle of Wight and a new concept for a temporary music venue. Our vision is to develop these ideas with existing sites and then expand to mixed use projects at a series of scales and connect them to the city with public programmes, creating a fluid relationship between use, building and the city, providing a contemporary architecture that can be experienced by a broad audience everyday.